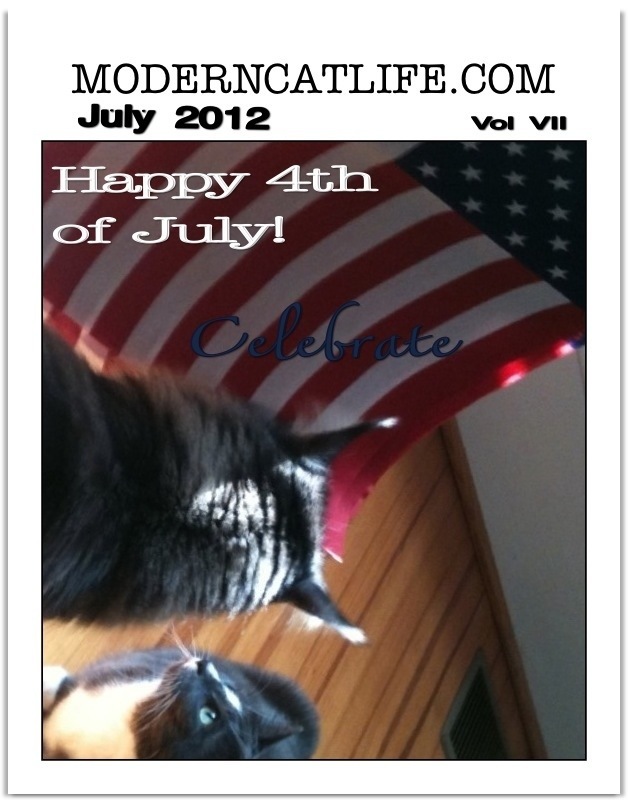 Happy 4th of July from our kitty girls, Grace and Twilight! It’s always very exciting and patriotic around the house during our 4th of July celebration. Small American flags line the half round of well manicured boxwood bushes, our American flag waves proudly against our 1935 Georgian red brick home, and quite unexpected, my husband plays God Bless America, America the Beautiful, and My Country Tis of Thee on his bagpipes! The days feast is in the planning stages, but it will be classic picnic fare full of smiles. As evening settles, my husband and I safely sit and watch musical firework celebrations via the TV. Have a great Holiday…sounds wonderful!